So much for being a millennial adept at gizmos and gadgets of the latest technology! An embarrassing secret we all try to hide is our tendency to be superstitious, perhaps by making up excuses to take the ‘road less traveled’ by black cats! As much as we claim to be rational, progressive minds of the 21st century, we harbour to this day, a number of superstitious beliefs that we grew up hearing. Here are 4 of the most common ones that we outwardly declare to be absolute humbug, but furtively structure our very actions around! 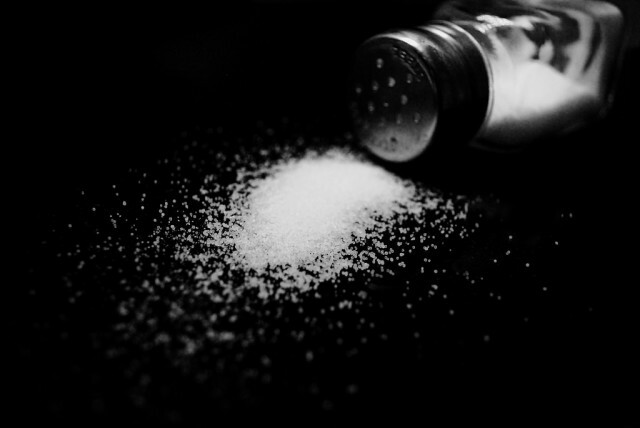 A belief that prevails around most parts of the world is the classic platitude that knocking down a salt cellar invites misfortune. Ever since Da Vinci depicted Judas next to a toppled salt cellar on the table in his Last Supper, this otherwise innocuous mistake has been associated with lies and deceit. Mr. Da Vinci, we’ll have you know that you cursed the one commodity that we in erstwhile British-India had to struggle to access tax-free. It even comes with an antidote of its own! All you need to do is take a pinch of that white dune you unintentionally created, and throw it over your left shoulder; this supposedly counteracts the malicious intentions of the devil by blinding it. Black cats have for centuries been associated with witches and sorcery in Christianity. It was thought that witches transformed themselves into black cats by night to prowl the streets and work their sorcery without being observed. Some say that this superstition is reflective of the crass racial divide that prevailed in the Western world, where black was associated with everything barbaric and evil, whereas white was glorified as a color that stood for beauty and virtuousness. But not only is it popularly perceived to be a bad omen, encountering a black cat is also said to foretell death in certain cultures. It’s nonetheless downright amusing to see full-grown adults cringe at the mere sight of a black furball of a kitten! 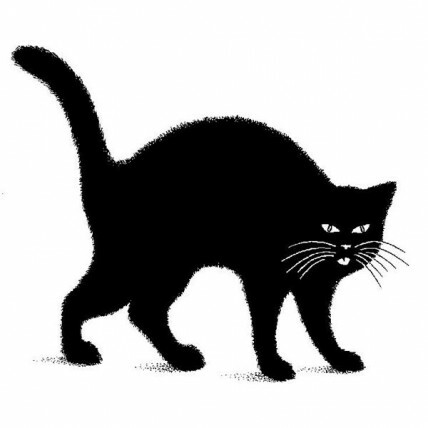 On the other hand, in Scottish culture, a black cat that strays into your home is said to bring good luck and prosperity. Your house is being re-painted and you decide to give your mom a hand with the pail of paint placed beside the ladder which is supporting her. 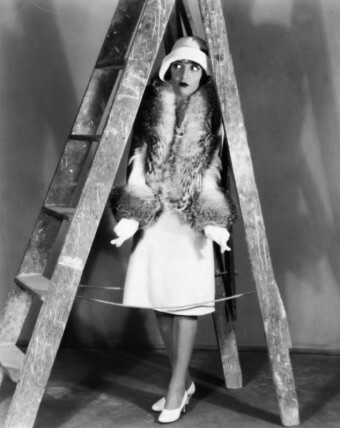 You bend to walk beneath the ladder to grab the paint, when your mom, with an abrupt jerk, yells at you, insisting that you walk around it instead. Ever since, you’ve been wondering what would have happened if you had disregarded her caveat. Myths abound around the ladder, one story being that it is symbolic of the gallows that were used to hang people centuries ago. The Christian version of this myth perceives the triangular shape of a ladder leaning against a wall to represent the Holy Trinity, and thereby considers walking under the same an act of blasphemy. But a convenient reparation has been suggested, whereby you need only walk back under the same ladder, reciting a prayer of your own as you do. What better way to get people to pray fervently than to threaten them with ominous portents! Ever broken a mirror and experienced thereafter a pervading sense of panic about what is to come? Perhaps it was your grandmother who first told you about the bad luck it brings, perhaps you heard about it in a movie that gripped your attention as a child. There is an abundance of horror movies based on mirrors, the first that comes to mind being self-evident, the movie ‘Mirrors’. Although the movie is a grotesque exaggeration intended to scare the audience out of their wits, it reveals many of the archaic, paranormal notions that surround the mirror, like its ability to trap souls, or it being a means for supernatural forces to access and control events in the real world. The first man or woman to see their reflection in a pool of water must have thought that it was a silvery being from a parallel dimension who impishly mimicked them in an attempt to communicate. The fascination was apparently bequeathed down the generations as later, it came to be believed that the souls of the people reflected by a mirror get embedded within. 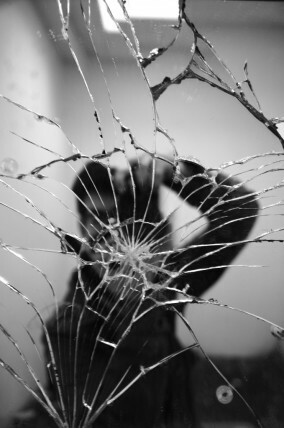 Therefore, breaking a mirror harms your own soul. Blame it on the Romans for the ‘7 years of bad luck’ trope. Among the Romans, it was believed that it would take 7 years for life to renew itself. Through simple extrapolation, it was concluded that the unfortunate soul would suffer severe misfortune for a span of 7 years till the curse is broken. Superstitious myths and tales, as we all know, were created by the imaginings of our ancestors who were unable to provide explanations for natural occurrences. The paucity of means available to debunk the mysteries of nature caused them to rely on coincidences instead. Convinced that all such beliefs are a bunch of baloney? Go ahead now, gutsy enough to experiment with your luck? !